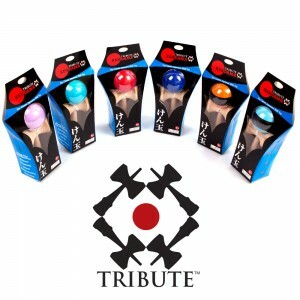 The Tribute Kendama is here!! 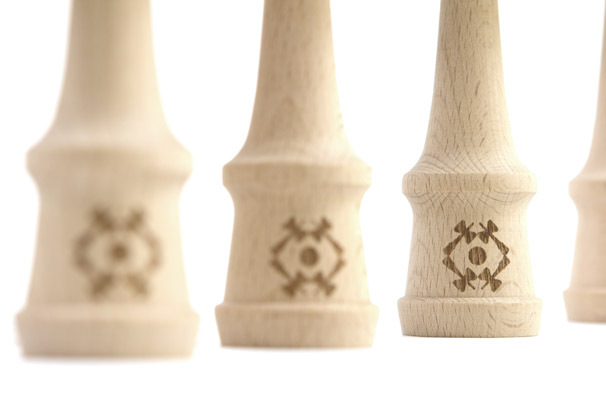 The full Tribute Kendama Line is coming out in February 2012, but we have a limited release this holiday season. The Tributes are the new and improved upgrade from the Kendama USA Premiere Line. These high quality Kendamas use only the best beech wood which is FSC certified, to ensure sustainable forestry practices. We have improved the handle assembly to create the strongest Ken ever made. Unlike older traditional style Kendama handles, this contemporary style does not separate during play, and simplifies the re-stringing process. The Tribute can be re-strung between right and left handed play simply and easily without taking the handle apart. We now use a much higher quality string, which is custom woven with high quality fibers and offers more strength and flex during play. The handle has also been beveled to reduce friction, and eliminate the need for string guards. The Ken is now thicker toward the middle of the handle, improving the balance and weight distribution for many tricks including lunars. 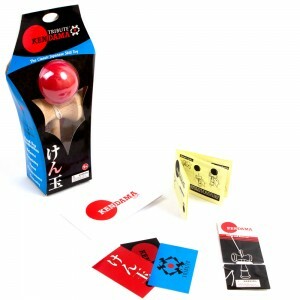 Every Tribute Kendama comes in professional packaging, and includes an instruction manual in English, free stickers, plus a replacement string and bead pack. We have been experimenting with dozens of new paint techniques for the Tribute Kendamas. Please note that the paint on this limited release of Tributes does tend to chip a bit quicker than the much-improved paint that will be used on the Kendamas coming out in February. We don’t have any stores in the PR currently but if you know of popular toy stores there let us know!